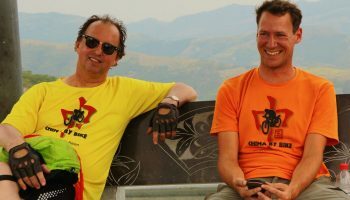 CHINA BY BIKE has been successfully organising guided cycle tours in Asia for over 20 years. 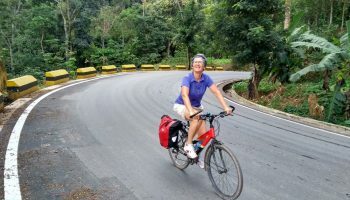 Our unique concept of exploring by bicycle both the known cultural highlights as well as the rough beauty of the rural areas has attracted many bicycle lovers and made us Germany’s leading travel operator for cycling tours in China and South-East Asia. Starting 2017 we now offer our tried and tested tours for an international audience. Our tours are designed for people who prefer an active and original way of discovering new places over classic mass tourism. In the countries we travel to we cooperate with small and family enterprises and avoid franchise hotels as well as restaurants and shows made exclusively for large tour groups . Small groups, long tours and true cycling are some of the key features of our journeys. More time to stay in one area and less hopping from sight to sight will make your trip feel like a real holiday and give you enough time to enjoy the cycling as well as properly dive into the foreign culture. 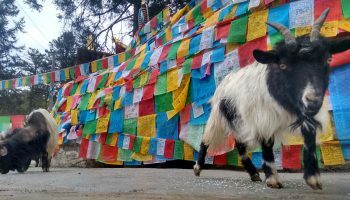 We have organised tours through Tibet and China’s North West on the old silk roads; tours along the Great Wall in the hills north of Beijing; in the fertile coastal provinces Fujian and Guangxi; we crossed central China’s Qinling mountain range; cycled along the Yangzi and discovered almost every corner of beautiful Yunnan. All of these regions boast a richness of scenic landscapes as well as distinct cultural features and deserve to be discovered in their own right. Working as tour guides or discovering new routes, all members of our office crew spend time every year cycling through Asia. Thus, all of us are able to provide you with first hand information on our tours. We will answer your questions in detail and help you find the tour most suitable to your taste and expectations. We are happy to adapt tours to your personal wishes wherever possible. Our selection of tours are tailored for different holiday lovers and different levels of fitness, ranging from relaxing, easy rides on mostly flat ground to challenging climbs in mountainous areas. For China newbies who want to discover the many faces of the Middle Kingdom in a unique but relaxing manner, the “All Around China” would be the ideal choice. 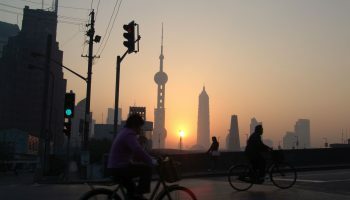 The tour combines some of China’s most famous sights and cities and fascinating landscapes with easy cycling. For those who prefer longer and more challenging cycling, we recommend “The Golden Triangle” and “The Three Gorges”. These tours include some longer climbs and the average distance cycled is over 70 km per day.Aside from the more intense cycling, the tours also let you fully experience Asia’s cultural richness and leave enough time for individual relaxation. You have not been able to find a tour which suits you? We also offer custom-made tours to fit your very personal taste and preferences. 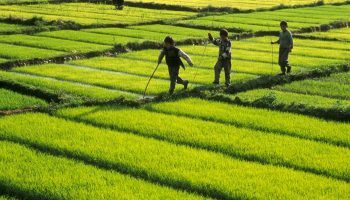 We are experienced in designing and organising trips in different parts of China as well as in many countries of East- and South-East Asia. To get an idea of the extent of our expertise, you are welcome to check out the overview map of our German-language branch. We let you discover the modern urban regions as well as the less developed rural areas. On our routes we sometimes stay in small towns which can hardly be found in any tourist guide book. Often those unknown places – far away from the “economic miracle” and mass tourism – convey the truest and most valuable impression of the country. Here we always strive to find the best accommodation possible for you – however, in a small number of cases even the best hotel in town can be of a basic standard. Let us inspire you for your next holiday - sign up to our newsletter and stay updated about upcoming tours, travel tipps and offers!